All of us have a craving for a good comfort food once in a while and meatballs can be especially delicious. 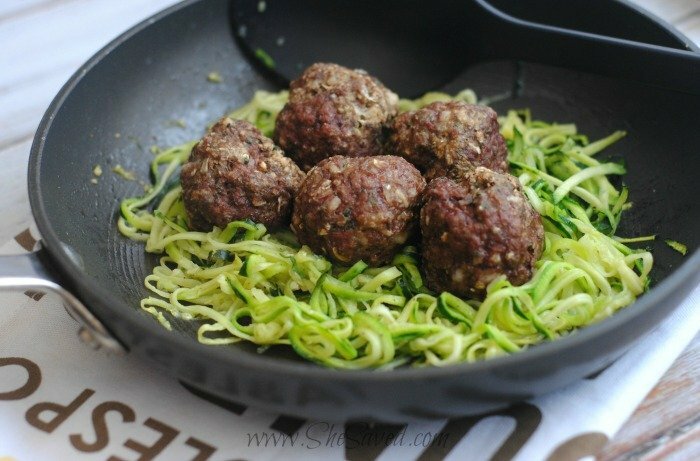 Today I’m going to share with you how to cook Italian Meatballs and how you can make them leaner than the traditional recipe. 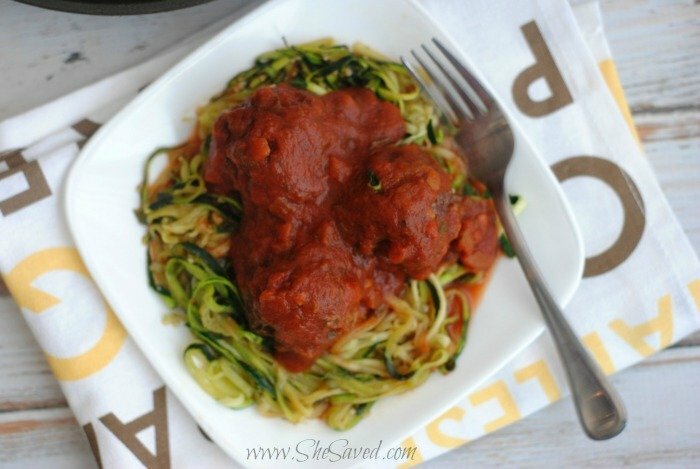 You of course can serve these alone or with pasta, but I am also including one of my favorite recipes for Zoodles. I have shared with you before my love for Zoodles (see my other Homemade Pesto Zoodles Recipe) and of course, I make my Zoodles with my handy dandy Zoodle Slicer (a kitchen MUST have, in my opinion!) … you will love it! Preheat the oven to 350 degrees and spray a baking sheet with non-stick cooking spray. 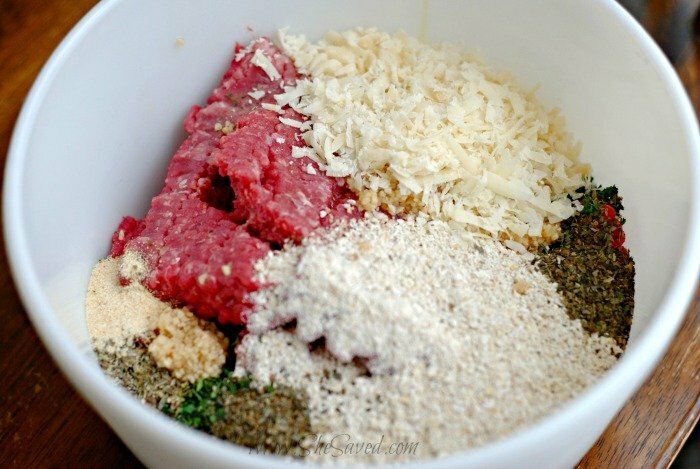 Combine the meat with all the ingredients (see photos). Roll the mixture into 2″ balls and place a few inches apart on the baking sheet. Bake 20-25 minutes. Check around 20 minutes. I like to cut into 1 or 2 to make sure they are cooked through. If cooked through, remove from the oven, you don’t want to dry out. While the meatballs are cooking or just finishing up in the oven, heat the 2 teaspoons of olive oil in a medium-size saucepan with the minced garlic. 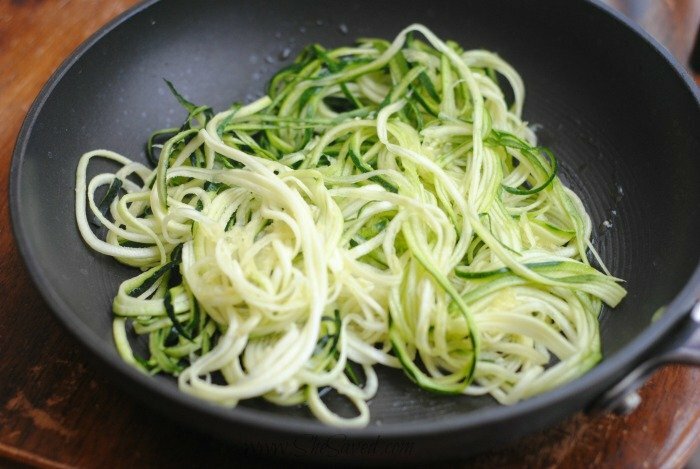 Spiral the zucchini into zoodles and add to the saucepan along with 1/2-1 teaspoon of the red pepper flakes or Mrs. Dash Extra Spicy Seasoning. Saute for 5-10 minutes until tender. Heat the pasta sauce in a separate saucepan on low. 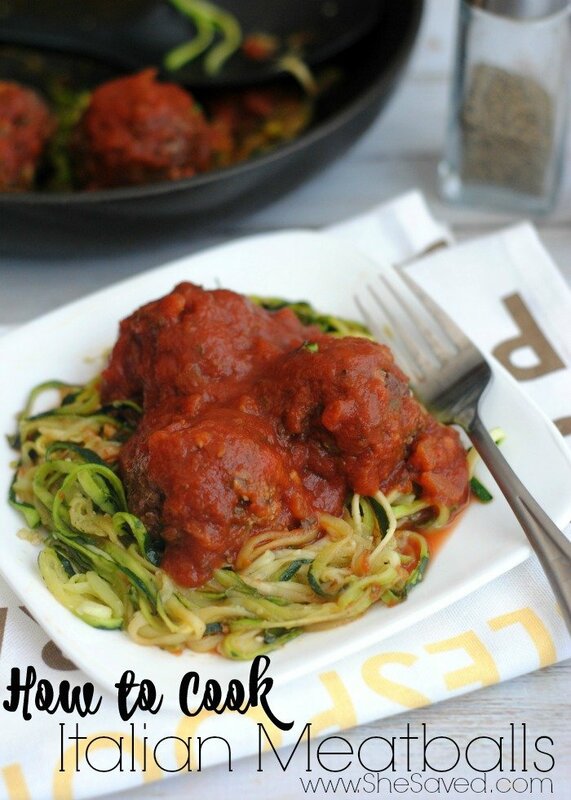 Remove the zoodles from heat and serve with the pasta sauce and meatballs. *Notes – Makes about 30 2″ meatballs; I like to make about 1/2. The other half, I place on a baking sheet (uncooked), freeze and then store in a large Ziploc type freezer bag. I pull them out as needed and bake on 350 degrees for 25-30 minutes. 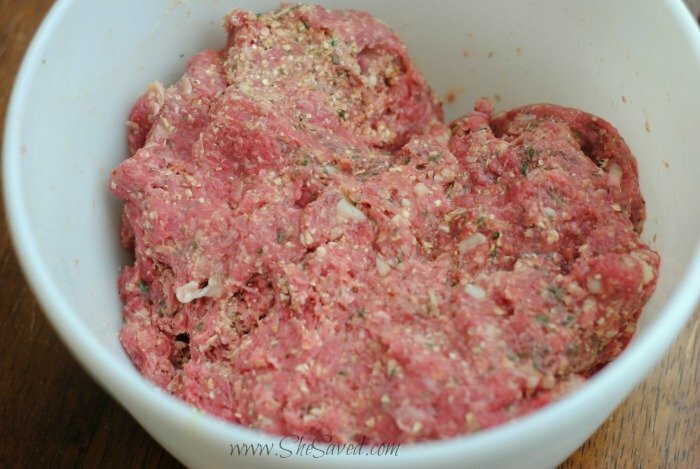 And now you know how to cook Italian Meatballs…do you think your family will like this recipe? 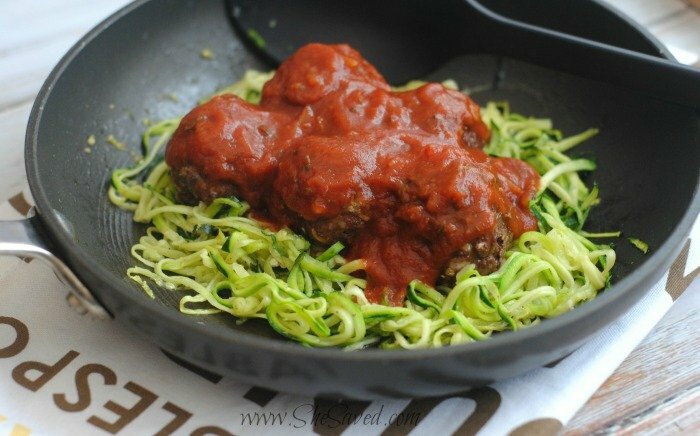 I really need tog et a spiralizer - we LOVE meatballs over here, but I'm trying to cut back on processed carbs -nom! So yummy looking, Will have to give a try for our Spaghetti dinner night. Ohhh!! LOVE this!! My husband will thank me for this one!! Oh, I love a good Italian meatball! I am pinning this. Looks so good! Thanks for sharing at Merry Monday! I love Italian meatballs! These look perfect! Saving the recipe. Thanks for linking up with Delicious Dishes Recipe Party! I have one of those veggie slicers and I love it! Those meatballs look delicious! Those look so delicious! 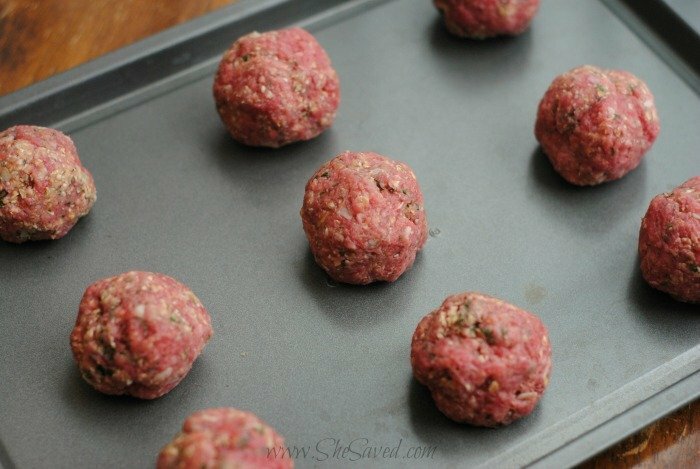 I love making meatballs in large batches and freezing them to throw in with spaghetti on weeknights. And believe it or not I have yet to try zoodles! Thank you for sharing at Merry Monday!